I am a sucker for anything personalized and M is a huge fan of accessorizing! We have had the pleasure of trying out a lot of fun goodies during our blogging experience, but nothing tops these two product lines! 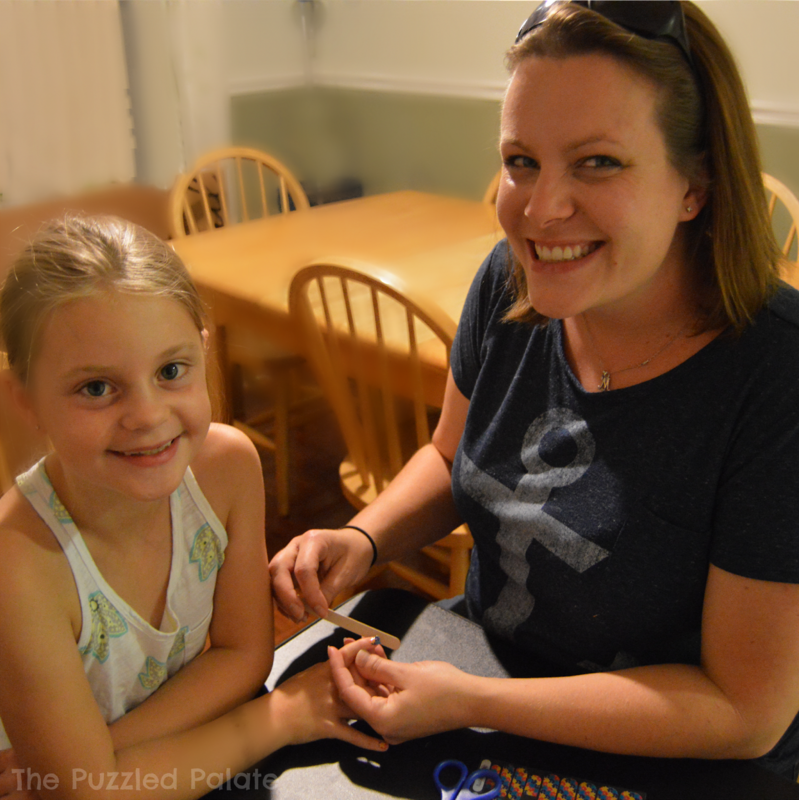 Cammy with Jamberry Nails and Rosie's Pendants sent M accessories personalized for her journey with high functioning autism. Both the nail wraps and the pendants are available for purchase as featured or as one of many other designs- promised to fit your style! Both the Jamberry nail wraps and Rosie's Pendants are more than reasonably priced. I can also personally vouch for their quality and durability. If you aren't looking to add to your accessory options, keep them in mind for gift giving occasions! Nothing better than getting a gift that is hand selected or custom made! First up, Jamberry Nails from Independent Consultant Cammy Wyatt! I had heard of Jamberry's nail wraps before and honestly did not think that they would be a good fit for me. I am excited to tell you that I was wrong! I thought that they would be difficult to apply and fall off when I washed my hands- also wrong! 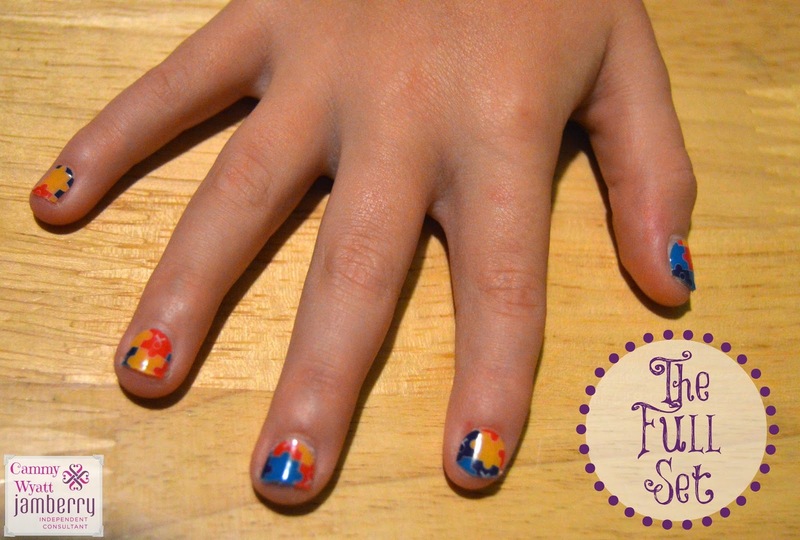 Each nail wrap takes a few seconds to apply and they can last for weeks! Gather your "tools", cut the decal to size, warm with the hair dryer, smooth onto nail & file any excess! M is not a fan of the hair dryer, so my niece willingly volunteered to get "fancy nails." If you would like to take a peek at the other 300+ nail wrap designs- hop over to Cammy's Jamberry Page. Next up, Rosie's Pendants! From the moment that I came across this Etsy shop, I have been obsessed! 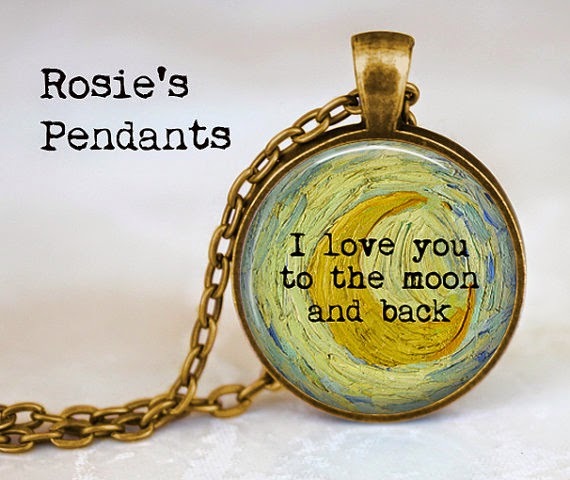 Rosie's offers beautifully handcrafted pendants. They are 100% customizable! The pendants come either as a keychain or as a necklace. 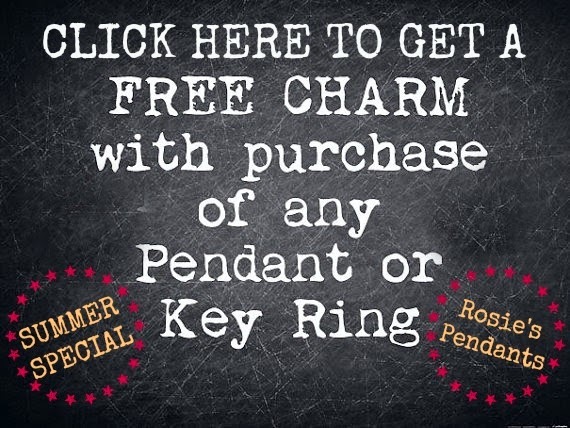 When you are creating your custom pendant, you can choose from Rosie's huge collection of designs or if nothing fits your fancy you can send in your own quote. I am telling you, the choices are endless! This is the beautiful pendant that they sent us. 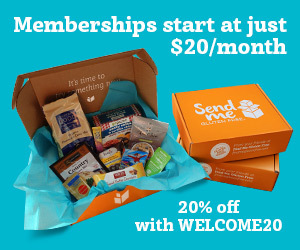 I can't decide yet- but when I do, I will be taking advantage of this sweet deal! 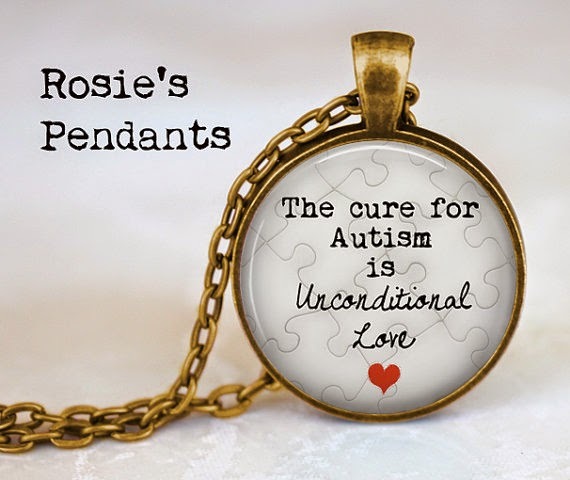 Visit Rosie's Pendants' Etsy Shop and look through over 700+ products! Now it is your turn to choose! Visit Cammy's Jamberry Site and Rosie's Pendants' Etsy Shop and pick your favorites! These two awesome companies are offering a "pick your prize" for a giveaway! I was provided with products for the purpose of this review. No compensation was given for this post. All opinions are my own. LOVE the Jamberry accent nail!! When I get my nails done I get an accent nail sometimes and I think it's super cool! Your nails look fantastic.I love those pendants.My son always says i love you to the moon and back so that would be my favorite. 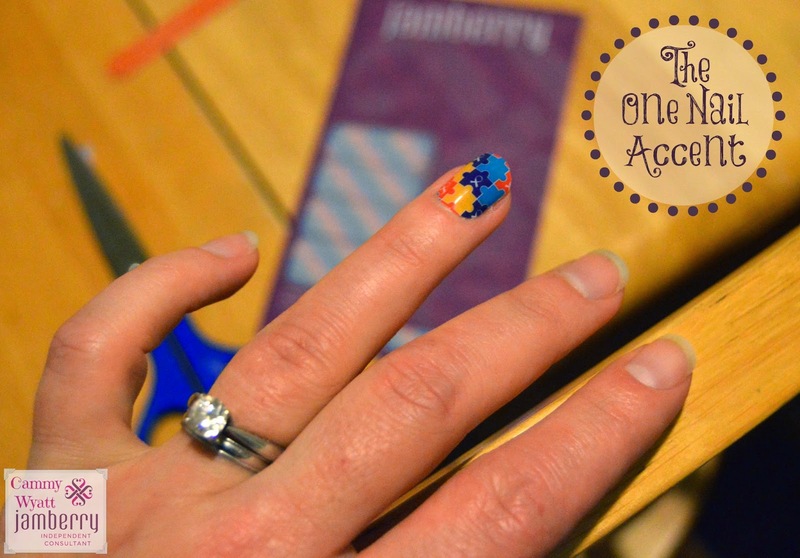 I love the idea of the Jamberry accent nail! I love to have an accent nail and this is a great way to change things up. Those charms??? LOVE THEM! I absolutely love them. So cute. I love that you chose the puzzle pieces. And the colors make it look like you did the tie dye treatment from Pinterest! Cute! Sweet T has Jamberry red, white, and blue stripes on her toes right now. FYI, your Rafflecopter widget isn't showing. Whoops! I feel like I just walked out of the bathroom with my skirt tucked into my undies! Thank you for the heads up! I hope you take the time to enter! 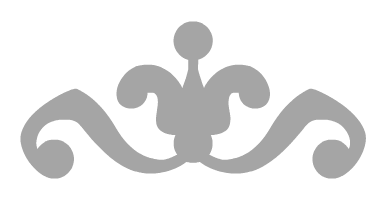 I love that there are so many designs. Very nice that you chose the puzzle pieces for autism awareness. I keep seeing people talk about jamberry. I wonder if I could actually do them, since I'm not coordinated. pretty pendant. I tried jamberry last week and liked them. Lots of neat designs. looks like a great giveaway. Those nails are soo sticking cute! My oldest would LOVE them! What cute pendants! I love the "to the moon and back" one. Cute nails! Looks like a lot of fun! I love the one accent nail....but the whole set looks awesome too! I love the looks you made with the nails! I've heard so much about Jamberry Nails and would love to try them out someday. I've been hearing such good things about Jamberry Nails. I really need to check them out! I've never heard of the pendand company before - they are really cute, thoug! I keep hearing and seeing Jamberry Nails. I really want to try them out. They seem easy and are so cute! Everyone is talking about Jamberry lately! I need to give it a go. I know a few Jamberry Nail reps. I have to try it but I think I would like how long they last. Jamberry has tons of other designs for a more mature look. I chose the Autism Awareness wraps to support my daughter! I love nail wraps! I have never seen that design before that looks so awesome! I can't wait to check these out! My daughter is going to love this! I have a friend that sells Jamberry and we love it! My mom and sister just tried the one nail accent and it looked super cute. Great way to make your set last longer! I have yet to try the Jamberry decals because I'm afraid I'll mess up. You did a great job on your niece's nails. I am a total klutz and I can do it! They are super easy- much better than nail polish! Fool proof I tell 'ya! I love the pendants. They are so pretty. Love the pendants! Especially that moon one, that's one of my favorite sayings and I even have a poster with it. I love Jamberry Nails...they last and are so easy to put on. I really like the fact that I can be very unique with the Jamberry nails...I have a wrap on my pointer and my pinky right now - I polished the other nails. The pendant is pretty! That would be a great gift for someone. I love the Jamberry accent nail! So cool! The pendants are also very beautiful. My favorite is the I love you to the moon and back design. The messages are really nice, but done in stylish jewelry makes them even better! 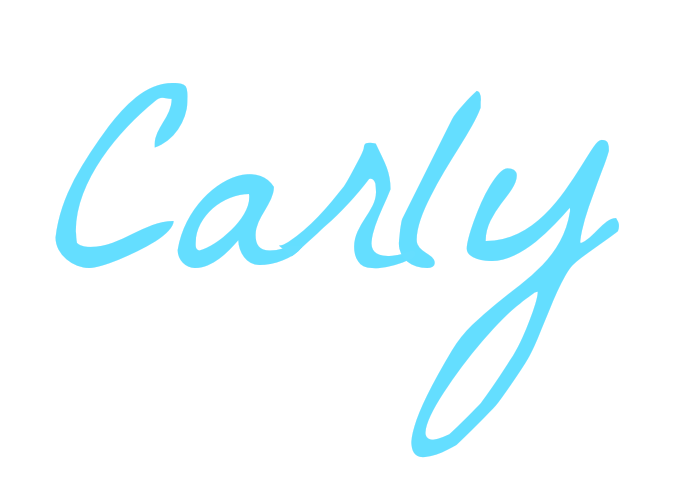 Those pendants are just beautiful, Carly! I bet you wear it often! I would totally pick that "I love you to the moon and back" pendant! My mother in law says that to my children and they say it back. It is kind of their thing. These are beautiful. I would definitely pock the "I love you to the moon and back" pendant! 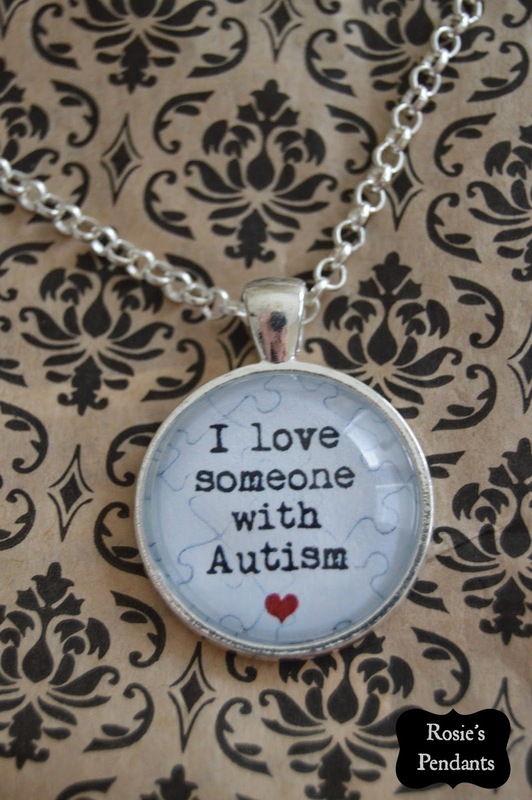 The Autism necklace!!! I would give it to my BFF, her little girl has Autism. 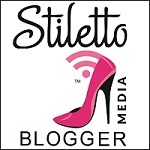 Grab an entry for you blog comment and maybe you can win some for her! I'm loving the Jamberry accent nail and the full set for your daughter. I love how easy to apply they are. The pendants are really nice too. How cute! Great tips! I'm really loving those nails. I love the Rosie's Pendants. I'll have to check them out. I love the pendants. They would make wonderful gifts and I would like to have a couple for myself. You're the second blogger to introduce Jamberry nails to me. I love nail wraps/decals and I would be interested in trying these soon! The manicures are super cute! I love the necklace with "I love you to the moon and back". That's something my son and I say to each other. The pendents are cute!! love them! Oh, I love that pendant! So special! I like that Jamberry has a lot of different options as well as other products. And I am really loving the Tolkien pendant, naturally.